Happy Tuesday! Tomorrow is the first day of June, which means that summer is right around the corner. 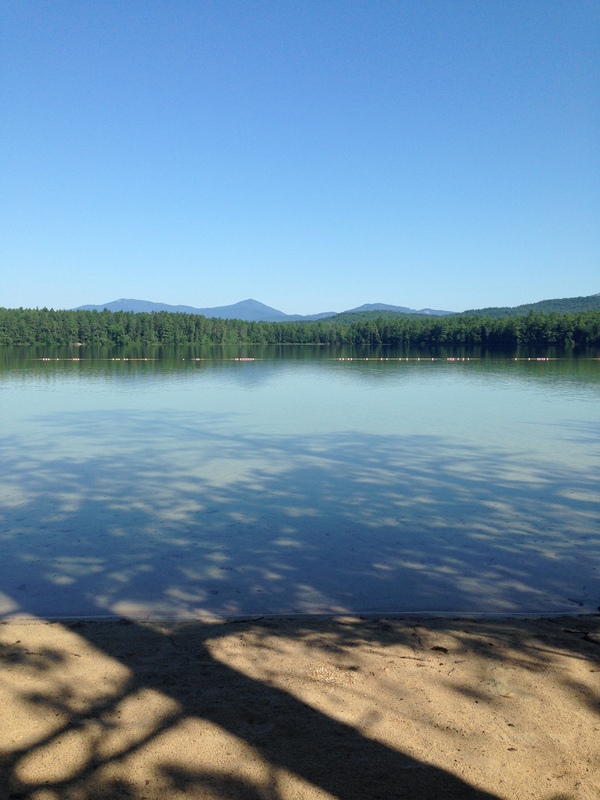 One of my favorite things to do during the summer is reading at the beach, especially by the lake when my family and I go camping. Whether your “beach” of choice is by the ocean, lake, or pool, there are a few aspects of beach reading that are essential to having the best experience possible. 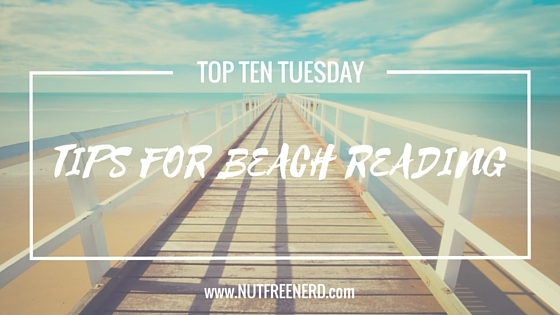 Here are my Top Ten Tips for Beach Reading! No, it doesn’t mean what you think it does– I’m talking Bring Your Own Bag. Whether you prefer paper, cloth, or plastic, I recommend bringing a bag along to store you book in when you’re not reading it. Unexpected shenanigans are always happening at the beach, and you never know when sand, water, or seagulls will attack your precious paperback when you’re in the water. Obviously this is a matter of preference, but I always try to bring paperbacks with me to the beach rather than hardcovers, an e-reader, etc. Hardcovers are often too clunky in heavy in my beach bag, and I have a nagging fear that something would happen to ruin an e-reader (cue the aforementioned sand, water, and seagull attack). Paperbacks, on the other hand, are just right! Imagine: you are all settled in your reclined lounge chair at the beach you open your book and BAM! You’re blinded by the glaringly white pages as they soak in the bright sun. The solution? Sunglasses! Before making the sandy trek to that perfect beach spot, be sure to check that your shades of choice are clean and scratch-free to avoid any pesky obstructions to your vision. This might sound strange at first, but I recommend doing a little taste-test of your beach read prior to heading down to the water. Read a few pages or even a chapter before embarking on your seaside trip to make sure that a) you like the author’s writing style and b) the story is interesting enough to keep your attention. If not, you might end up stuck with a book that you don’t really click with, and that’s no way to spend a day at the beach! Don’t be afraid to be picky when selecting a spot to set up camp at the beach. Do you like to be by the water? Do you prefer the shade or sun? If you’re happy with your surroundings, chances are that you’ll end up being able to relax (and therefore read) a lot more! We all know how loud a busy beach can be at times. If you’re on a mission to log some serious reading time, remember to take a pack a pair of headphones or earplugs. You never know what you’ll need them! 7. Apply sunscreen first, read second. Let’s be honest: once you start reading that incredibly gripping novel you packed, there’s very little chance that you’ll be stopping to apply sunscreen anytime soon. To prevent your skin from sizzling in the summer sun, put on sunscreen before you crack open your book. This way you can read without having to worry about looking like a lobster the next day! 8. Take a book, leave a book. 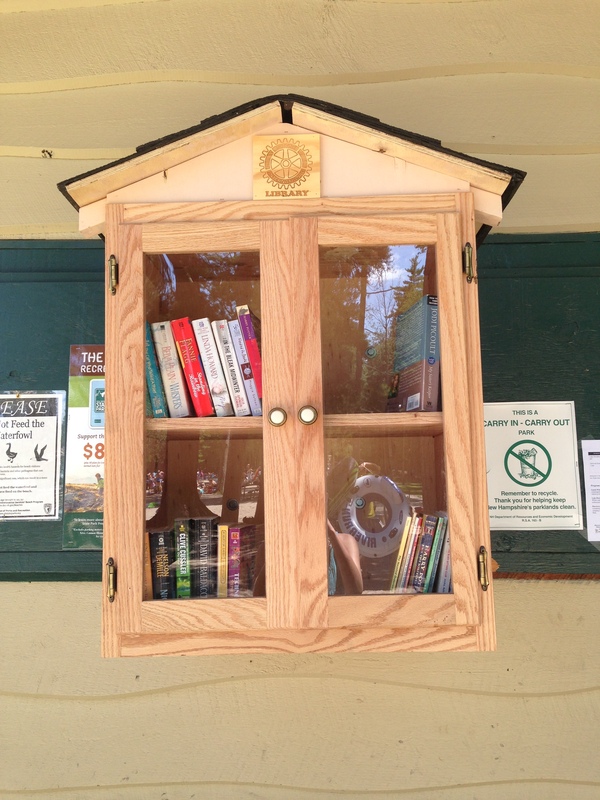 Many beaches nowadays have these nifty little “libraries” chock full of secondhand books. Take a stroll to see if your beach has one and, if so, sneak a quick peek inside. You never know what gems you might find just waiting to be read. Chances are, there are a lot of readers spending some quality time with their books by the water. Don’t be afraid to engage in a bookish discussion with someone if they don’t look too busy. Try a friendly, “How is that book? I’ve been meaning to read it!” or even “I just wanted to say that I absolutely LOVE that book!” Who knows where the conversation will take you? This may sound counterintuitive, but I think it’s important to take some breaks from reading throughout your day in the sand– you are at the beach, after all! Take a dip in the water, make a Hogwarts-inspired sand castle, or treat yourself to a melting ice cream cone. Your book will still be there, ready for you to read, read, read! What are your tips for reading at the beach? What do you think of mine? Let me know in the comments section below! #4 is a good idea! I went to the beach for a week earlier in May, and my paperback was a dud. 😦 If I’d read the first chapter, I would’ve known. Thankfully, I brought a backup! Ohh I love this topic, I’m so glad you decided to do it this way. I’m always scared that my books would end up damaged at the beach, by the sand, water and WHO KNOWS WHAT CAN HAPPEN. Thanks! 🙂 I agree, the beach can be a scary place for booklovers… you have to be constantly vigiliant for any sand-kicking kids, incoming waves, or– dare I say it– RAIN. 😦 We’ve gotta protect those books at all costs!! Nice way to do this week’s theme! I loved this post! I did something similar this week for mine as well (great mind thinks alike)! I agree with having a bag to lug everything around and prevent seagull attacks (I’m legitimately scared of them sometimes. They’re so fearless when it comes to being around humans). OMG seagulls are so scary! One time last summer when I was at the beach they basically attacked a man for his bag of cheetos. It was terrifying. Omg that is scary! I’d probably try to shoo them away or just toss the bag away from me. Haha. Love this! So many practical tips for book lovers and beach goers. I like the mix of advice on how to enjoy the environment, such as by applying sunscreen, as well as the book itself, such as by getting a taste of your beach reads beforehand. Thank you for this summery post. Thanks! 🙂 I hope you find one of those beach library box things– it’s so exciting when you actually see one in person! Great tips, also keeping cold drinks in a separate bag or compartment from your book, else the pages can stick together!